NCPS decided in 1980 to buy this trophy for a slide knock-out competition to be held in the 1981 Annual Exhibition. The cup is engraved “N.C.P.S. 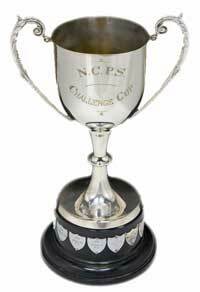 Challenge Cup”, but it is always known as the “North Cheshire Challenge Trophy”.